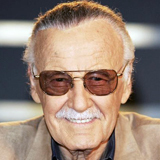 CHICAGO — Stan Lee, known to millions as the man whose Super Heroes propelled Marvel to its preeminent position in the comic book industry and whose co-creations include Spider-Man™, The Avengers ™, X-Men™, Iron Man™, The Incredible Hulk™, The Fantastic Four™ and hundreds of others, will appear as an Auditorium Speaker at 2014 ALA Annual Conference from noon to 1 p.m. on Saturday, June 28. Lee remains Chairman Emeritus of Marvel, serves on the Editorial Board of Marvel Comics, and is currently chairman and chief creative officer of POW! Entertainment, a multimedia entertainment company he co-founded. POW! has debuted several titles including "Solider Zero," "Traveler" and "Starborn" with Boom Comics, "Stan Lee and the Mighty 7" with Archie and A Squared Entertainment, and "Romeo and Juliet: The War" with 1821 Comics. Lee has been involved in creating feature film scripts, a live action musical and is working on Indian and South American superhero franchises. Lee’s appearance is sponsored by Disney-Hyperion.